The international trade in animals and plants impacts not only the conservation of the species utilized and the ecosystem they are part of, but also the people and communities who depend on this trade for their subsistence and income. Ultimately, sound management and effective enforcement to ensure sustainability benefits wildlife and humans alike. E. Cooper Environmental Consulting provides a range of consulting services to assist our valued clients in understanding wildlife trade dynamics, developing policy and implementing procedures to ensure that wildlife trade is sustainable and legal, and that both species and livelihoods are conserved. 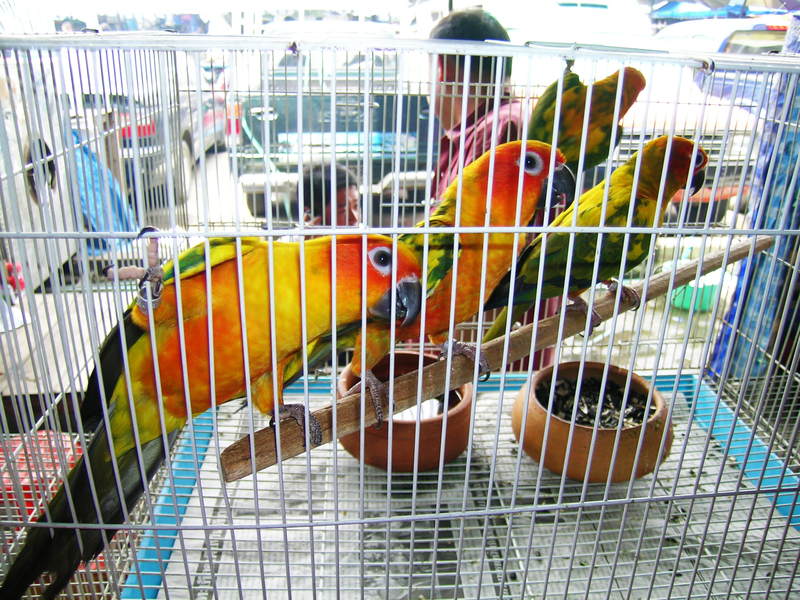 Conure parrots for sale in the weekend market, Bangkok, Thailand. Copyright Ernie Cooper 2004. 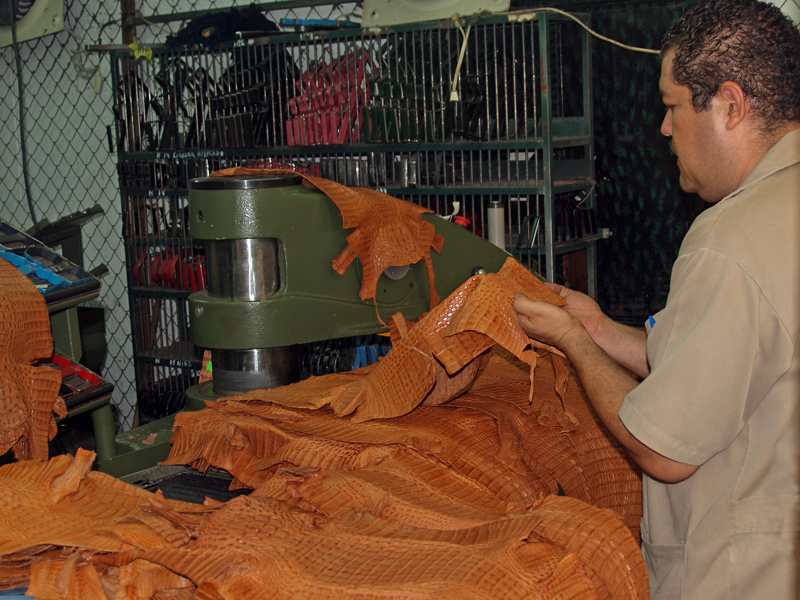 Tanned and dyed caiman skins being prepared to be manufactured into leather goods, Leon, Mexico. Copyright Ernie Cooper, 2005. 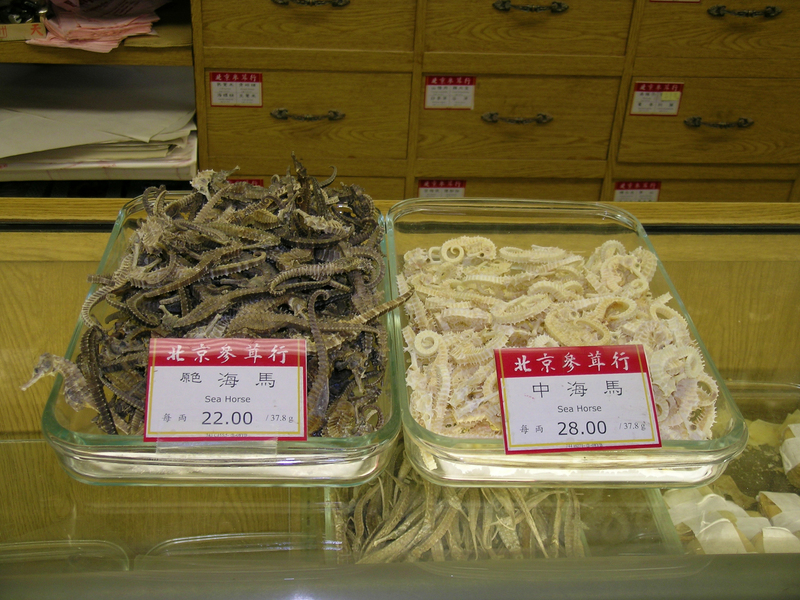 Dried seahorses for sale as traditional medicine in Vancouver, BC. The specimens on the right have been bleached. Copyright Ernie Cooper 2003.